1. At the Nexus of Justice, Media Coverage, Historical Scholarship and Politics, 2. Commissioned History, 3. Research on Slave and Forced Labor, 4. 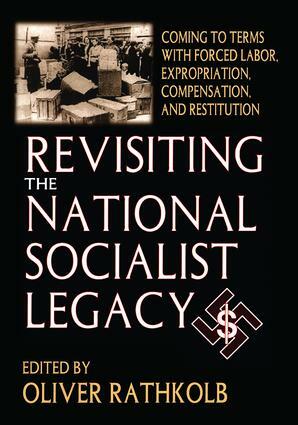 National Socialist Theft: Banking, Industry, Insurance and Works of Art, 5. History as Catharsis: Coming to Terms with the Nazi Past in Brazil, Chile, Argentina and Austria - A Comparison.